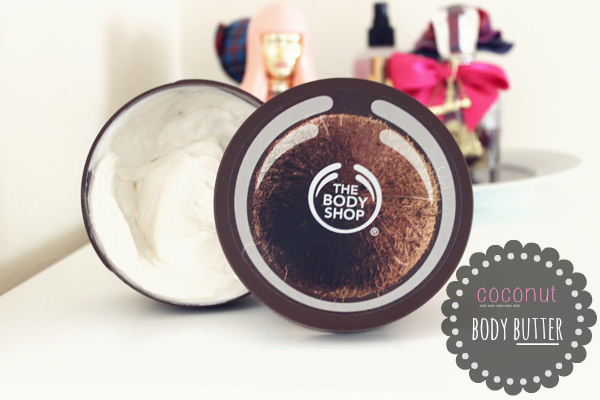 Whenever it comes down to body butters, my favorite ones will always be from the Body Shop. I took advantage of the 40% off on their website recently and a Video will be up soon showing you what I got using the amazing offer. I have always been drawn to the coconut scent is it me or does everyone just want everything in the coconut range! It has coconut and brazil oil, shea and coca butter that works wonders for dry skin. I feel the scent does linger on and on for quite a number of hours on the skin and doesn't just sit on the skin but hydrates the skin sinking right in. Being a thick butter and not a runny body lotion I do feel it can soften and smooth the skin in many ways lotions can't. I would highly recommend this scent to anyone wanting to try the range of body butters. WHICH BODY BUTTER IS YOUR FAVORITE, WHICH WOULD YOU RECOMMEND US TO TRY? DO SHARE AND LET ME KNOW IN THE COMMENTS BELOW! I love these too. Have you tried mango and pink grapefruit? They're my absolute faves!